Whether you provide an emergency service like plumbing, heating or even dental work, you want to give users every opportunity to contact you. Generally, phone numbers go in the top left quadrant of a site in a sizeable font, with some eye-catching color contrast. Make sure your number is printed so users can turn it into a hot spot: 416.555.1212. Your phone number should also be included in all your Pay Per Click advertising and links on other sites. 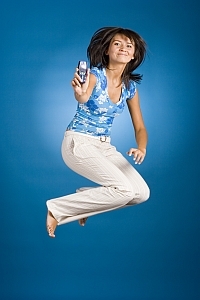 If your preferred point of contact is the phone, always have it in a place where everyone can see it!